March 31st is the last day to get a free t-shirt with your volunteer sign-up! Mars Hill Church's VBS is always the place to be! 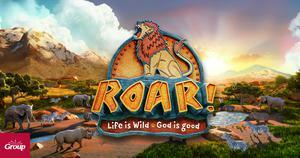 VBS this year is June 17-21 from 9am-noon. Registration for participants opens Sunday, April 7th. If you would like to be a Crew Leader at Mars Hill Church's VBS, please submit the form below. Crew Leaders must go through Safety Training on Sunday, May 19th at noon and submit to a background check. They will be responsible for helping a Crew of 5-6 kids get from Station to Station during VBS in a fun and safe manner. (You won't have to do any lessons or prepare anything!) Crew Leaders must arrive by 8:30am and are typically done by 12:30pm. Being a Crew Leader is a lot of work, but its very rewarding to get to know our amazing participants!